Home / Celebrity / News / Viral / Marlou Arizala New Looks, Here's a some Update for Xander Ford! Marlou Arizala New Looks, Here's a some Update for Xander Ford! Recently, news broke that the famous Hasht 5 member, Marlou Arizala, decided to undergo plastic surgery to boost more his confidence. Because of Marlou’s fame online, ABS-CBN magazine show Rated K covers the Hasht 5 member’s transformation. 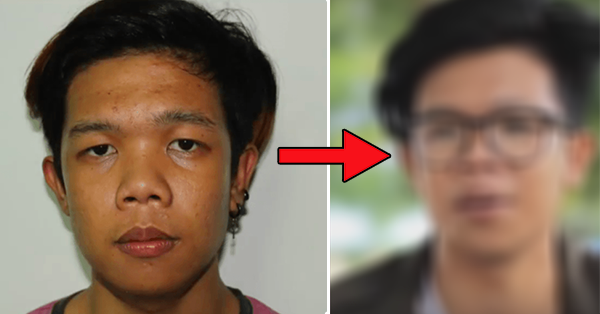 Here is a ‘patikim’ on how Marlou Arizala’s transformation went. Sounds like Jake Zyrus has inspired Marlou Arizala to also change his image as well his his name after undergoing plastic surgery — the start of his journey to become Xander Ford. Last night, Rated K featured Marlou’s journey to become a new person. The magazine show accompanied the famous Hasht 5 star to Marikina Doctors Hospital to do chin and nose job. According to Marlou, he really wanted to improve the mentioned areas of his face because he believes that this would help for him to change to become a better person. As for his family, they are supportive with the online star’s decision. Marlou’s plastic surgeon, Dr. Yapjuanco, explained how the procedure will take place. Typically, to give more shape to Marlou’s chin, silicon will be inserted inside the area while for his nose, the surgeon will contruct a nose line and norrow down the size of his nose. The surgery lasted for 6 hours and was declared successful. Meanwhile, the result of the operation is yet to be revealed since Marlou is still in the recovery stage. Morever, Rated K asked famous TV personalities about Marlou’s decision of changing his image. Surprisingly, many thought that Marlou looks more appealing compared to the prospect look of Xander Ford. As per Veteran director Direk Bobet Vidanes, Marlou already has a character with his face. So if he has to choose, he would still choose the past Marlou Arizala. On the next episode of Rated K, the show would be uncovering the new Marlou Arizala. If you want to be posted everyday, you may also follow Xander Ford’s instagram page. You can also read: Married Or Single, You Need To Read This – This Will Leave You Shocked!